Why spend hours and hours searching the Internet, company by company looking for a drain-cleaning machine. With Drain Cleaning Review we can help by having product reviews from the company like RIDGID, General Pipe Cleaners, Spartan, Trojan and even some of the generic drain cleaners. We have all of the information you need right here. We know that you value your time and we want to make the most of your time. You can choose a category and the drain cleaning machine of your choice. Once you locate what you are looking for, you will see what that drain cleaning machine has to offer and where you can buy it. We do all of the work for you. We can offer you a fast way to find the equipment that you are looking for all in one place. If the drain cleaner exists you will find it here, we will have product reviews filled with the information that you are looking for to make an informed choice. Let’s take a look at some of the manufacturers that we will be reviewing. RIDGID has been in business since 1923 and they are the most popular manufacturer for tools in the world. RIDGID has become the leader because they use the most advance technology and the most innovative designs. Their tools are made with quality parts and quality materials. RIDGID Tools offers solid construction and they are built to last. RIDGID Drain Cleaners are made with advanced technology but the machines are designed with the customer in mind. Their machines are easy to operate and easy to transport. 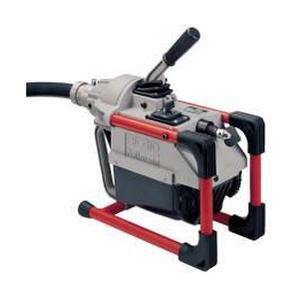 RIDGID offers the very best of Hand Tools, Sink Machines, Drum Machines, Sectional Machines and Water Jetting Machine. 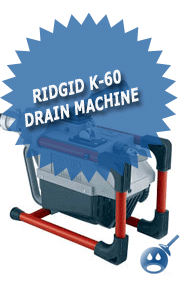 RIDGID Sectional Machines are their premier selling drain-cleaning machines. We will profile all of the models that RIDGID has to offer. RIDGID has a saying that there is the right machine for every job. 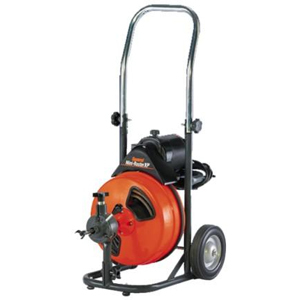 We will provide the information you need to choose the right RIDGID Drain Cleaning Machine. RIDGID is number one for a reason; they offer a full lifetime warranty on all of their tools. RIDGID has a customer support team that can assist you with any questions that you may have. Take a look and see all of the RIDGID Drain Cleaners, right here on Drain Cleaning Review. General Pipe Cleaners has dedicated their company to providing their customers with exceptional products and services. General Pipe Cleaners has been in business since 1930. Since then, the company has expanded into one of the largest drain cleaning companies in the world. From the first drain cleaner to the drain cleaners of today, each machine has better technology than the last one. At General Pipe Cleaners you will have a hard time choosing which drain cleaning machine is right for you. These machines are designed with the professional in mind. They can be used for every application from home use to schools, hotels, hospitals and commercial buildings. At General Pipe they even offer rentals for commercial applications as well as residential problems too. General Pipe Cleaners offers machines called Water Jets, these machines are designed to cut through the toughest clogs such as grease, ice, sand and sludge. 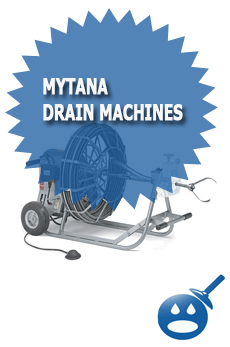 These machines have a powerful water jet force that will remove any blockage you may have in your drain lines. General Pipe Cleaners offers rentals in case you are not ready to buy. They offer drain cleaners such as the Super Vee, the Drain Rooter, Mini Rooter and the Easy Rooter Jr and much more. You will find product reviews on all of the drain cleaning machines for purchase and for rental. We here at Drain Cleaning Reviews want to help you find the perfect machine for your needs. Spartan Tools has been in the drain cleaning business since 1943. They have been a leader in the industry for quite some time now. Their goal is to give their customers drain cleaning products that can work efficient and effectively. Spartan offers nothing but quality products for their customer and their products are 100% safe to use. Spartan Drain Cleaning Machines are designed with the most rugged materials so they can tackle any clogged drain. Their drain machines have sturdy cables that are known in the industry to last longer than most. All of their machines are equipped with features that ensure a long life span. The Spartan machines have powerful feeds that can get through even the toughest clogs in a matter of seconds. 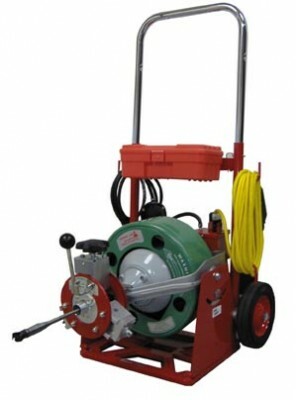 Spartan offers Cable Machines, Jetters, Cameras, Trenchless and Root Cutter Machines. Everything you need to keep your drain and sewer lines clear. Spartan Tools offers a One Year Warranty, the company promises their machines are defect free and they have a warranty to back up their statement. The company prides themselves in providing their customers with quality products at great prices. Trojan Tool Manufacturing is a family owned business and has been selling drain cleaners since 1956. 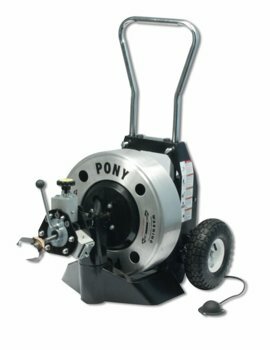 Trojan Tool Manufacturing offers top of the line Sewer Machines that includes their Stallion, Pony and Colt Machines. You will also find Cables, Parts and Accessories. Everything you need and more to keep your drains clean and clear. In addition to the drain cleaning machines, Trojan Tool offers Camera Systems. These new camera systems have become extremely popular in the last few years. They make locating the clog and working the clog more effective. You will also find carts to help transport the drain cleaning machines easier. You will also find that Trojan offers Compact Portable Drain Jetters to help with tough clogs too. We will provide a review of the drain cleaning products; these reviews will show the specifications of what each Trojan Tool Manufacturer Drain Cleaning Machine can offer you. You may have a hard time deciding which machine is best for you. At Drain Cleaning Review we offer product reviews on some of the best drain cleaners as we just mentioned. But we also provide product reviews on other drain cleaners that aren’t as popular as the big names. These drain cleaning machines are just as good as the ones we mentioned but the companies may be smaller than RIDGID or Spartan. We will offer product reviews on drain cleaning machines from Speedway, Zip IT Drain Cleaning, Electric Eel and Chicago Electric Power Tools. These drain cleaning machines can take care of the toughest clogs too. After you get done reading all of the reviews the only question you may have it which company and which model you want to use. At Drain Cleaning Review we offer our readers a faster and more productive way to shop for drain cleaning machines. 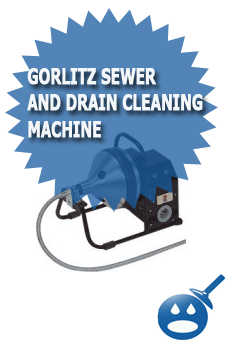 We will profile all of the great drain-cleaning machine the industry has to offer. We will outline the specs, features and the benefits of using these machines. We will offer price points and information on where you can purchase these machines. Consider us to be your product guide for drain cleaning machines. Deciding what machine is best for you is strictly in your hands but we can make it easier and you won’t have to spend hours flipping through different websites, all of the information you need is right here. This type of service is often only thought about when something goes wrong with your drains sewage system and can happen in the domestic and commercial sectors. A quality sewage cleaning and waste disposal service is provided by A Better Service Ltd they provide sewage treatment and high pressure jetting to customers in Reading, High Wycombe, Slough, Bracknell and Maidenhead. They also provide drain cleaning on blocked drains as well as high pressure jetting, and blocked gully cleaning. (in an electric model) or disconnect the propane tank (in a propane model). delivered by competent craftsmen, along with quick performance. our plumbing system can serve us well for years without any problems. My family members all the time say that I am killing my time here at this site, except I know I am getting know-how all the time by reading such nice posts. Wao, these all machine are very helpful for cleaning purpose. So, we can clean very easily with the help of these machines.Thanks for this post. A good article looking to knowledge Drain cleaner machine reading such nice posts.